One is tropical, the other is equatorial. These islands are neighbors and yet, an entire world separates them. Seeking for luxury holidays under the African sun for your next trip, Villanovo guides you on what destination to pick depending on your expectations: you only need to pack your suitcase. If one had to pick, it would probably be on this aspect that the two islands are the most different. Understand: while in Mauritius, we expose ourselves, we love golf and have animated nights, the Seychelles are more discreet. If you wish to disconnect from the outside world, it is undeniably in the Seychelles that you will find happiness. These marvellous islands, in which the population is spatially spread, are indeed calmer in terms of social dynamic. They promise thus intimacy and rest in a chic environment, in line with the image of its people. Regarding the activities, head to the museum of natural history, read your favorite book on the beach or choose to have a festive night surrounded by your loved ones, the Seychelles promise you a relaxing vacation, indeed, but luxury above all. Excellent restaurants and other quality institutions are plentiful and will satisfy your expectations without a doubt. Regarding Mauritius, it is a unique cultural world that is waiting for you: one can visit writers’ museums, it owns universities and many types of activities to never get bored. With a cosmopolite and relatively young population, your stay will be dynamic -if you wish- and promises you a real unique human experience. Between delicious gastronomy, extraordinary golf courts and local artistic performances, there is always a good reason to fly for Mauritius. On the spot, you will get the possibility to visit the house Creole Eureka, to participate to multicultural buffets or to attend night shows of Sega dance. Also, you’ll be happy to notice that craft markets and other local trades are numerous in Mauritius. Between history, human warmth and rhums arangés, it is welcoming, spicy and colorful universe that is waiting for you on the island. If the two destinations remain famous for their blue lagoon, these latter are nevertheless a little different. The Seychelles are a paradise regarding the beaches. Very clean, natural, with less people and more ecologic, the respect of the nature is being emphasized in order to produce landscapes as postcards. 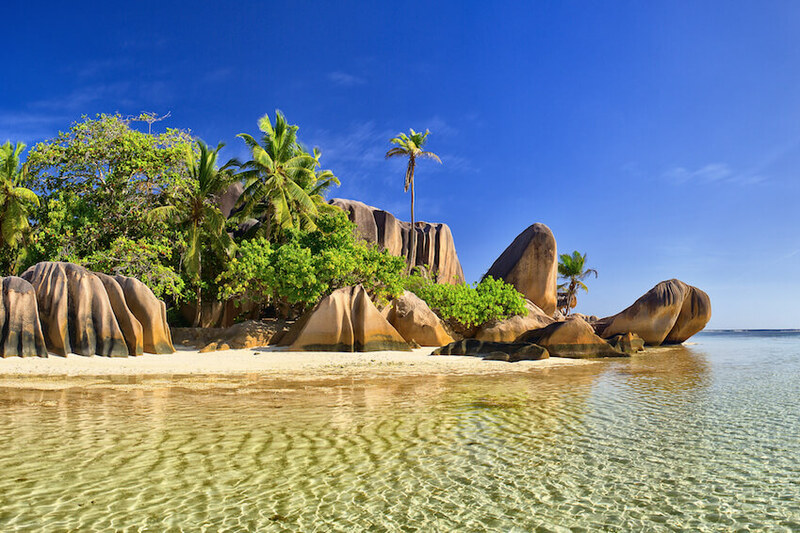 It is thus without a doubt that the Seychelles win the first prize in regards of the most beautiful beaches such as Anse Source d’Argent, Anse Lazio, Anse Georgette or Petite Anse, which are all true treasures. The Seychelles are indeed perfect for the guilty pleasure of farniente and peaceful navigations, but to enjoy a maximum of activities, it is to Mauritius that you should head! Whether you suddenly feel like jet-skiing, that you want to swim with turtles or to try windsurfing, it is possible without booking in Mauritius! Live a spontaneous stay full of emotions, like its inhabitants, and try experiences of sensational sports to make sure not to miss a piece of your trip. 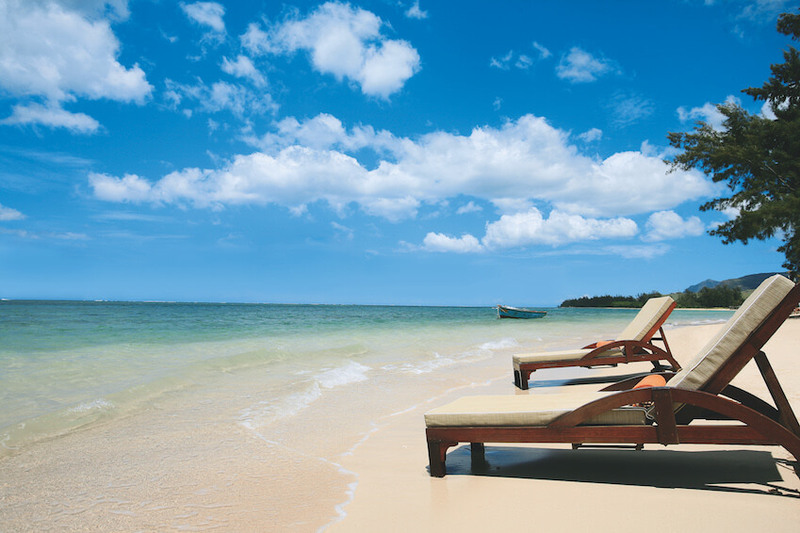 And, if you prefer to chill on the beach, explore Flic en flac or Le Morne, two heavenly beaches of fine sand. Forget daily pressure and just go, success guaranteed! If these two destinations fulfill more than what we ask for in terms of natural spaces, the two islands are not alike. The Seychelles having succeeded in protecting its surrounding nature, fauna and flora, your stay will enable you to immerse yourself perfectly in the wild nature. Like a national park, each island is sublime and shines of authenticity. To name only a few, coco Island on the digue Island, the May Valley on Pralin Island or Curieuse Island are some of the must-see. While the first one impresses thanks to sumptuous landscapes marked with large stones, the second invites you to explore the wildest natural corners such as an adventurer, while the third provides a unique meeting with local turtles. Mauritius, also having attractive spaces for all nature lovers, shows a singular environment. Ome of the most original places? The Seven Colored Earth in Chamarel. These dunes of sand with pink and purple colors give a surrealist effect when one meets them, which made them very famous on the island.The Black River Gorges National Park is also not to be missed. There, you will see monkeys in their natural habitat, turtles, spectacular point of views and amazing waterfalls. At last, the Ebony Forest Reserve, in Chamarel, is also part of one of the most beautiful places in the island. Thanks to a various local fauna, breathtaking views and a true respect for ecology and species, the place is perfect. Do not hesitate to go enjoy it when you still can! In sum, these two destinations are heavenly and guarantee you to fully enjoy your sunny vacation. The only thing to remember is that the Seychelles are certainly more adapted to couples and mature people thanks to the calm and luxury it promises. However, Mauritius, in addition to adapt to a wider budget, will suit active people and families seeking for an animated stay. And, if in spite of these advice, you cannot make up your mind, contact us for personalised propositions!